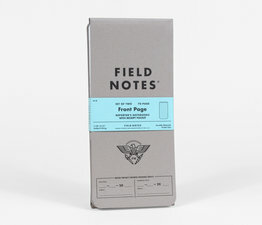 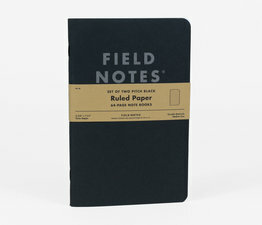 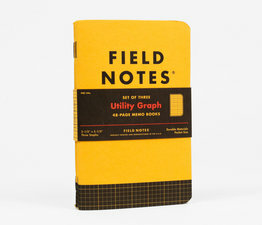 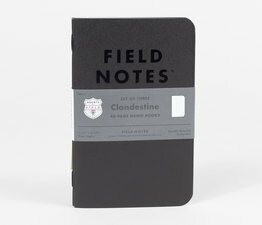 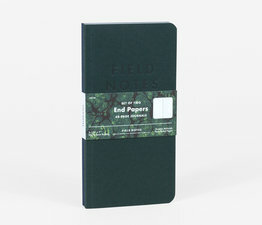 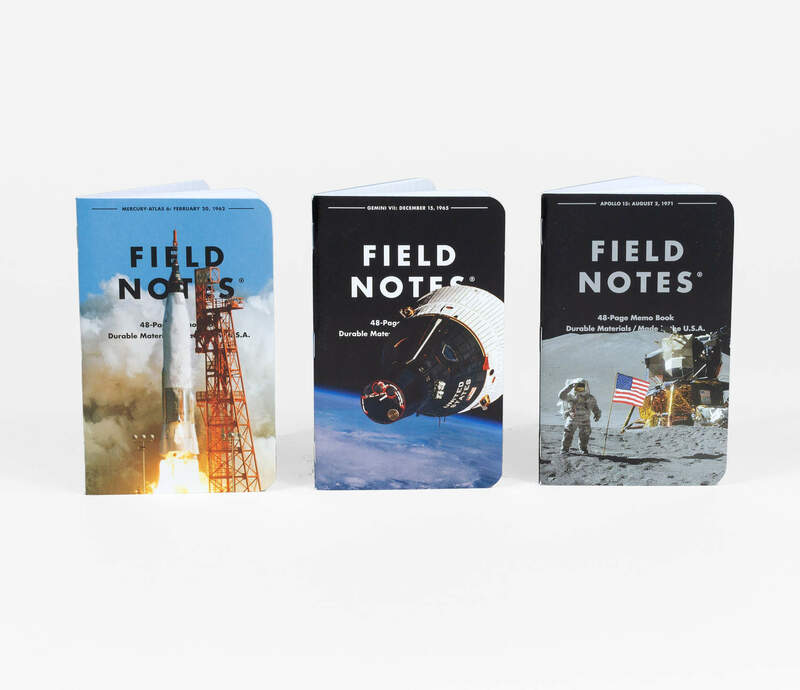 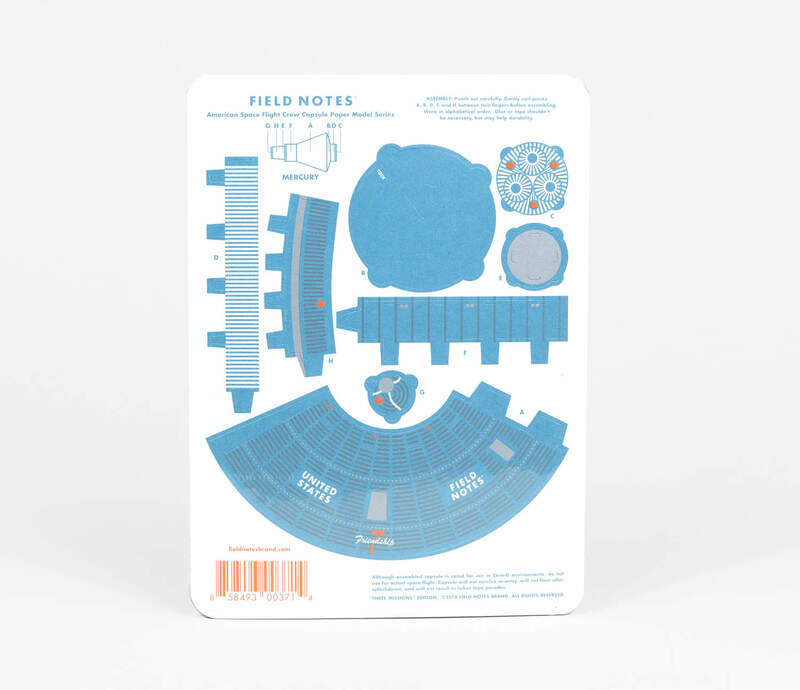 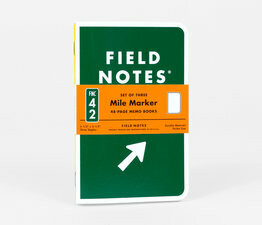 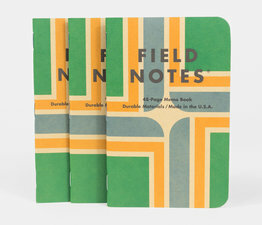 Field Notes’ Summer 2018 quarterly limited edition is an ode to the historic quest to land a man on the Moon. 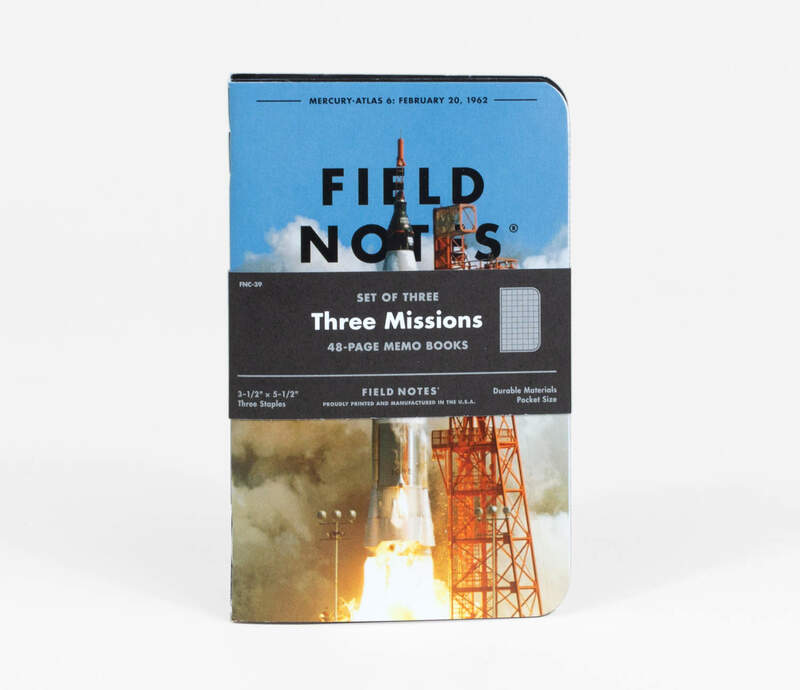 Each pack consists of three Memo Books, one each for the Mercury, Gemini, and Apollo programs. 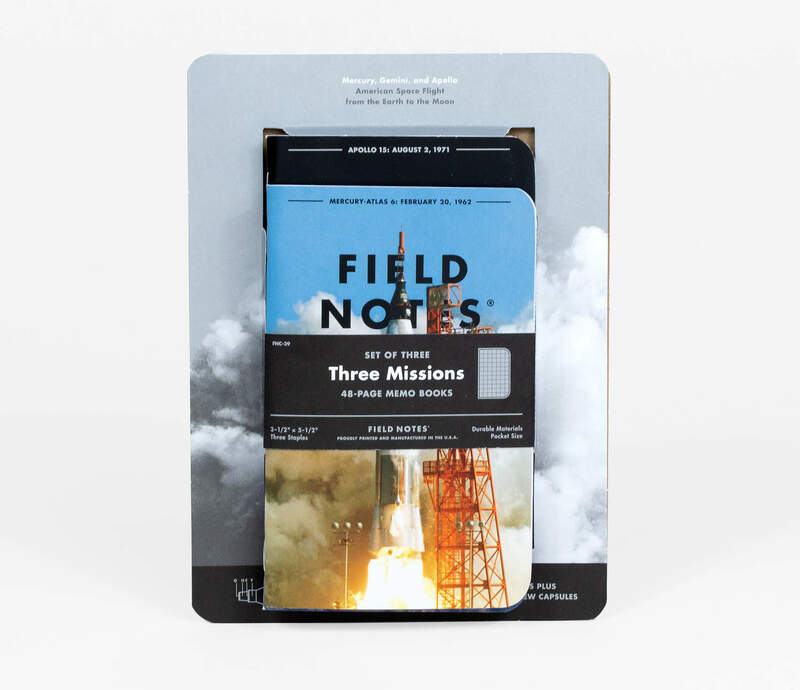 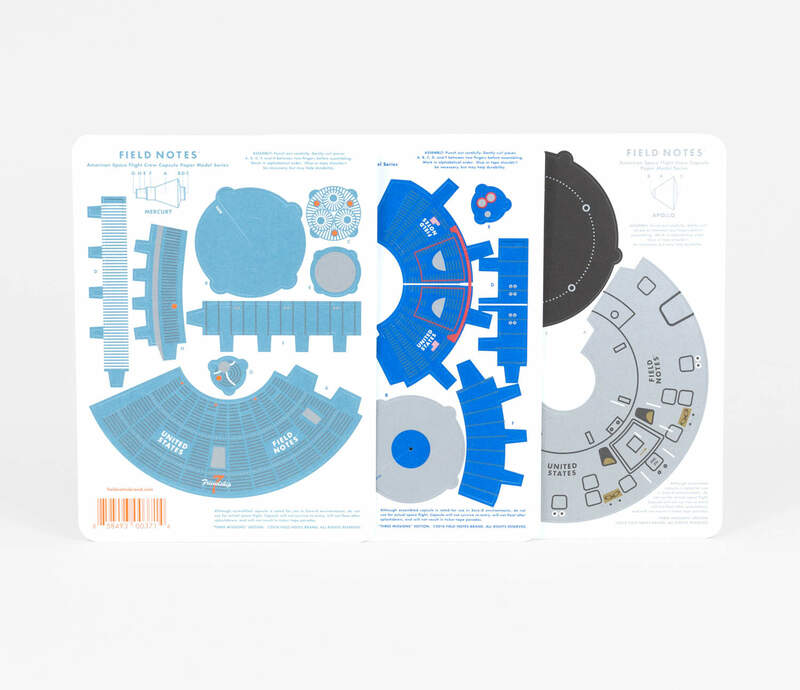 Full of facts and figures, they feature dramatic photographs of iconic moments from those missions on the covers, printed in full process color, plus “Orbital Silver” metallic ink and an aqueous coating. 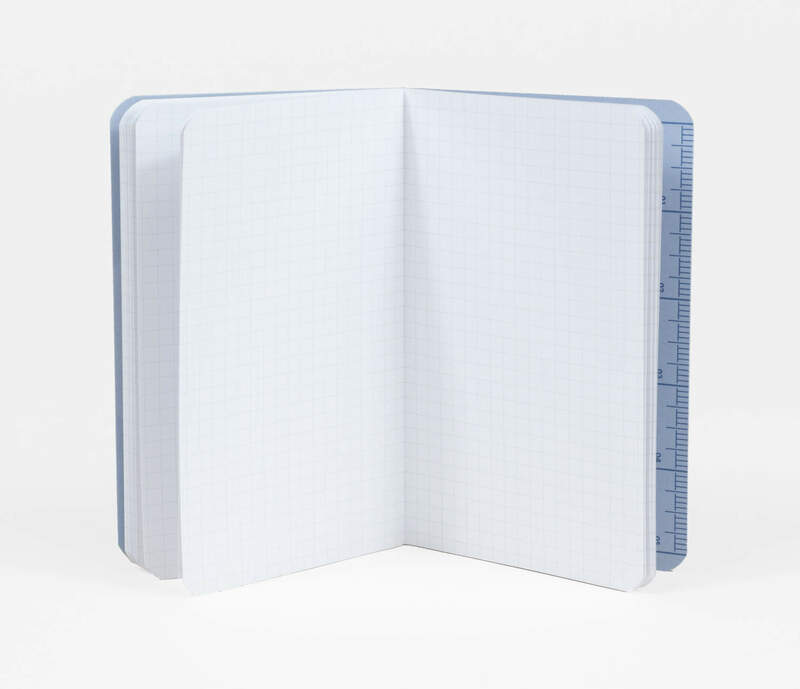 Finch Opaque 60#T white graph paper inside. 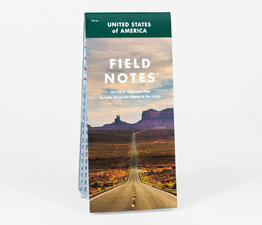 Each book contains 48 pages. 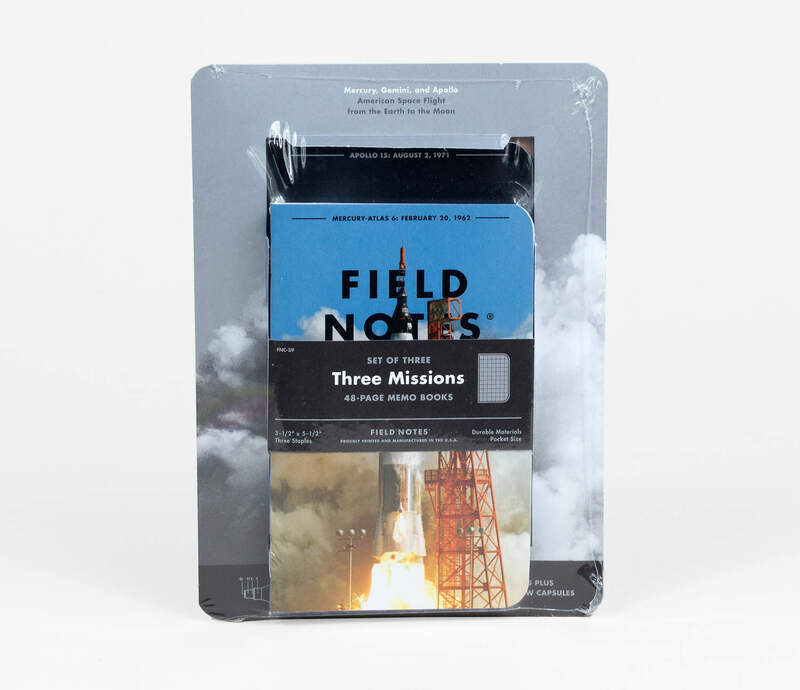 3-Pack of 3.5" x 5.5" books.